With green commuting, it’s all downhill with incentives for businesses and employees! The IRS allows employers and employees to spend up to $255 on transportation as either a tax-free or pre-tax benefit. Employers can allocate tax-free funds as a benefit, bonus, or raise for employees and incentivize them to switch to cleaner forms of transportation such as public transit and vanpooling. If employers choose to support a transportation benefit through deductions from employees’ paychecks, that dollar amount is subtracted from the employees’ and the company’s taxable income and payroll, respectively. It is also possible for employers and employees to split the cost, with each party paying an agreed upon percentage so that neither party has to pay the full amount. The Maryland Commuter Tax Credit covers 50% of the cost of providing commuter benefits, up to $50 a month, and it applies to both for-profit and non-profit companies. The credit may be deducted from personal income tax, corporate income tax, state and local taxes withheld (for tax-exempt organizations) or insurance premiums tax. The credit can be applied to a number of different benefits, such as vanpooling, SmarTrip Cards and MTA cards, a company-held Guaranteed Ride Home Program, or a Cash-in-Lieu of parking program. Fare Share is a program offered by the Montgomery County Department of Transportation to help companies start or boost their commuter benefits programs. Fare Share will match 100% of a company’s contributions to commuter benefits up to $50 per employee per month! Over the course of a year, Fare Share will match as much as $10,000 for any one employer. The program is intended to temporarily support companies as they learn to manage and support commuter benefits programs, and County matching will end after a 1 year period. SmartBenefits is a management tool offered by WMATA as a means for employers to easily cover the costs of employees’ transportation use. This online portal allows companies to load up employees’ SmarTrip Cards with their monthly transportation allotment. SmartBenefits can be used for rail, bus, vanpool, and parking services, and the funding can come from employers, pre-tax deductions from employees, or a combination of both. One of the main barriers to using alternative forms of transportation is the lack of mobility when an emergency occurs. If an employee needs to go home early to take care of their child, or needs to stay late to finish a project, their bus, carpool, or vanpool isn’t always able to wait for them. That’s where Guaranteed Ride Home comes in. This free program will provide commuters with a free taxi or rental car if their means of transportation falls through. Registered employees can use the services of Guaranteed Ride Home up to 4 times a year, and anyone can use the program so long as they use alternative transportation twice a week. Teleworking, flextime, and compressed schedules are all creative solutions that may be beneficial to your company. By allowing employees the freedom to decide when and where they work, you’re improving productivity, employee satisfaction, and of course, your footprint. The Montgomery County Telework Tax Credit helps businesses create and maintain a telework program by covering up to 50% of the cost of each individual laptop purchased for the purpose of working at home. The County will cover up to $2,000 annually. 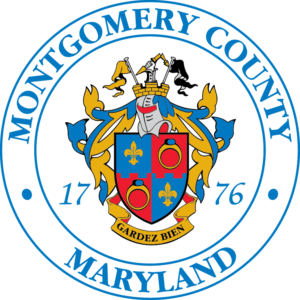 The County also offers free consulting services for any employer in Montgomery County who would like to create a new telework program or formalize an existing one. For more information and resources, check out the MCDOT Teleworking and Flextime page. Another great potential benefit is offering a discounted annual membership to Capital Bikeshare. Bikeshare allows employees to bike to their office, or to nearby transit stations, creating an inexpensive and clean way to get to work. Companies who enroll as Capital Bikeshare Corporate Members gain access to discounted annual bikeshare memberships — an $85 pass for only $50. When companies register, they can choose how they’d like to pay for the memberships (by employers, employees, or a combination of both), and employees can choose whether they’d like to participate in the program. Enrollment as a Corporate Member is free, so the only cost incurred is covering the employees who chose to opt-in to the program. Why Should A Business Consider Green Commuting Options? Montgomery County businesses have access to a wide variety of benefits, many of which can be used at the same time, but why should you spend more money on additional benefits that don’t directly enhance your business’s bottom line? The fact is that investing in transportation benefits isn’t as costly as you might think. * Please note that this assumes 25% federal corporate tax bracket, and an 8.25% State corporate tax rate. After a full year, these benefits are equal to the value of a $1,400 raise, but the business only ends up paying about $200! Creating a Better Work Environment. In a region as competitive as the DC area, employers are always looking for ways to attract and retain great employees. Benefits are one of the big components that set employers apart. Employees value companies that value them, that provide benefits making their commute easier and cheaper, and that promote a greener workplace and healthier environment. This improves morale and promotes positive company values. Not only will transportation benefits make your employees happier, but the changes you make will improve your company’s overall performance and image. The Cadmus Group, for example, worked closely with MCDOT to develop a plan to benefit employees and the planet. The result? In both 2014 and 2017, the Metropolitan Washington Council of Governments honored Cadmus with awards recognizing their innovative and effective transportation benefits program. Since adopting this program, the company annually saves 377,000 vehicle miles traveled and 19,040 gallons of fuel! So How Do I Start Making Changes? Written by By Elizabeth Scanlon, DEP Intern, with special thanks to Michelle Golden, Derrick Harrigan, and Paul Gatons of the MCDOT Marketing Team!